Today was Day #6 of Chocolate and Almond Theme Week. 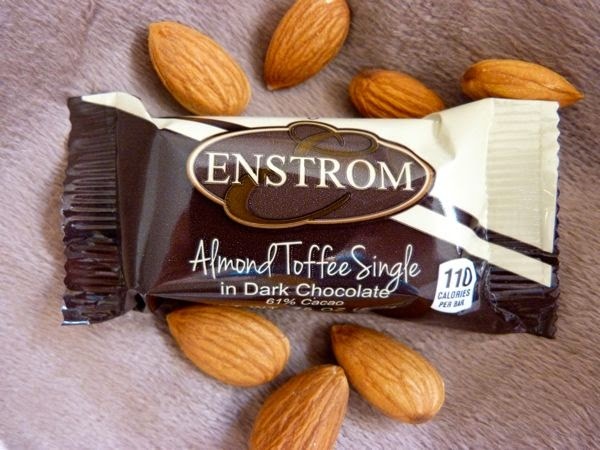 This petite Almond Toffee Single bar from Enstrom Candies (Grand Junction, CO), packed a lot of good flavor in a single serving. 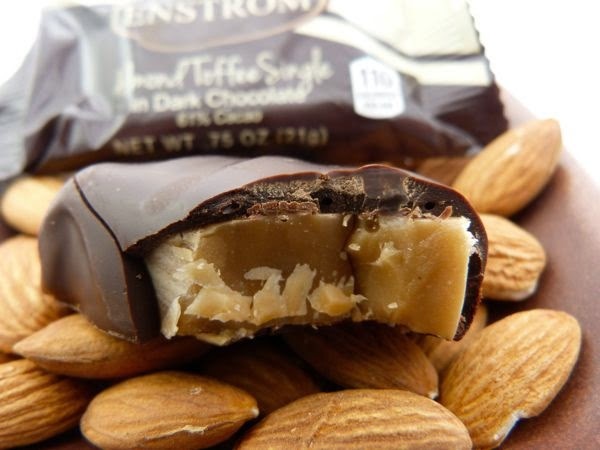 The core of this tiny bar was a slab of buttery, crunchy toffee with generously sized pieces of almond that was enveloped in dark (61% cacao) chocolate. The convenient single-serving size was large enough to satisfy, and small enough to avoid over-indulgence.